After months of hearing their SageTV customers clamor for more juicy details and pictures of the coming-soon SageTV HD Extender, SageTV posted a bunch of photos and details of the STX-HD100 extender on the forums early this morning. 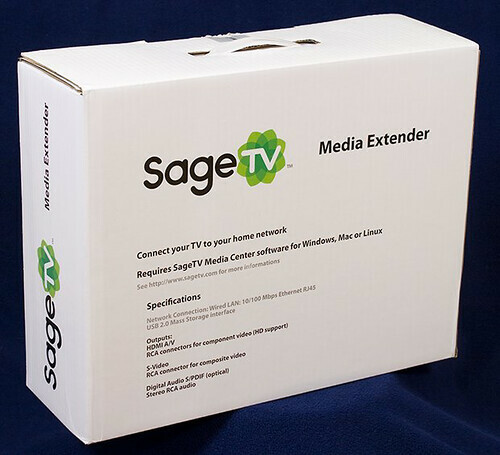 The new extender will be priced $199.95 (includes a SageTV server-side license for the extender) and should be available December 10, 2007 per Jeffrey Kardatzke, CTO & Founder of SageTV, LLC. The extender is basically a hardware extender much like the Microsoft Media Center extenders that were sold for the old XP version of Media Center. This one of course was made especially for SageTV and allows the streaming of content from a computer running SageTV. All menus and functionality should be built-in to the box. 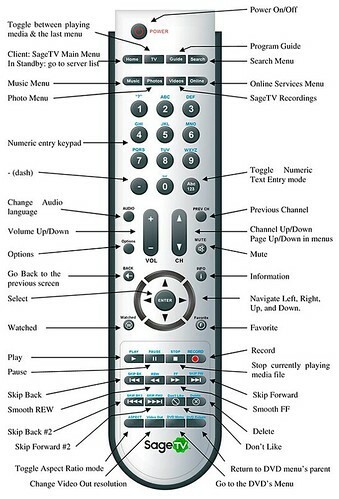 Also on the front are buttons for Menu, Up, Left, Right, Down, "OK" and standby. On the back you see an on/off switch and power cord. 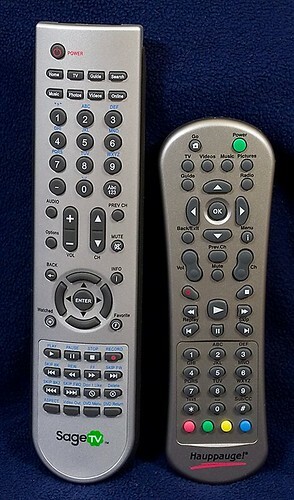 Output's include HDMI, Component, S-Video, Composite and Optical. Also can view unencrypted, streamed DVD's from the SageTV Server. 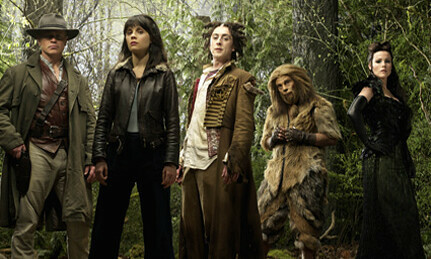 You can find these photos as well as comments in the SageTV Forums. 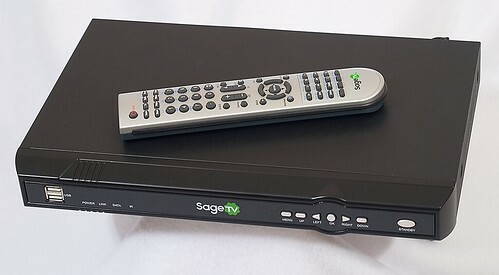 I should note that SageTV does not support CableCard, but it does support many QAM tuners (unencrypted HD only) as well as the R5000HD (modified DishNetwork Tuner for encrypted HD) and OTA HD. The extender will be a great seller - especially if the price is right. I'll update this page as more information including price - comes available.